“When we cook shrimps they turn into prawns…” One of the children said whilst pointing at a picture of a fresh water shrimp. This is just one of the many great quotes from Forest School this week. 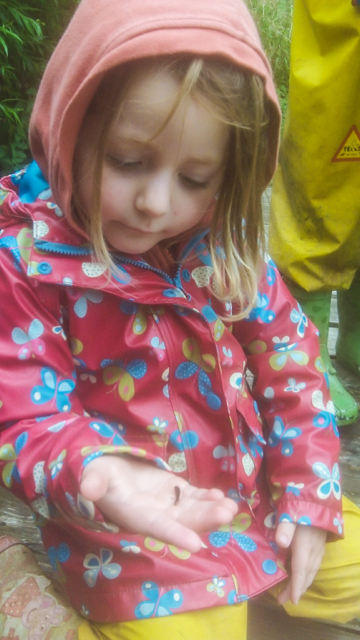 This week’s Forest School was Pond Dipping! 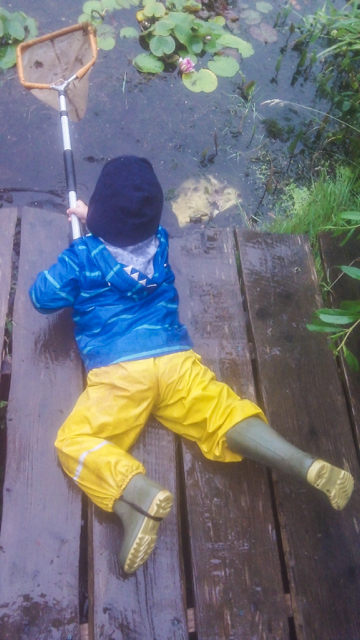 The children love going to the pond, as we rarely venture down through The Orchard and into the pond area. The last time in fact, was when the pond had frozen over and the children found objects to throw across the ice. As always, we start off with our Forest School rules to remind ourselves on how we keep ourselves safe. The children’s knowledge of how to be safe around the fire pit was also used to think about being safe around our pond. The children decided that, like when we have fires, we must not run around the pond. Also, the children know that when we do have fires, they must stay sat down or on their knees, and the same goes for being next to the pond. 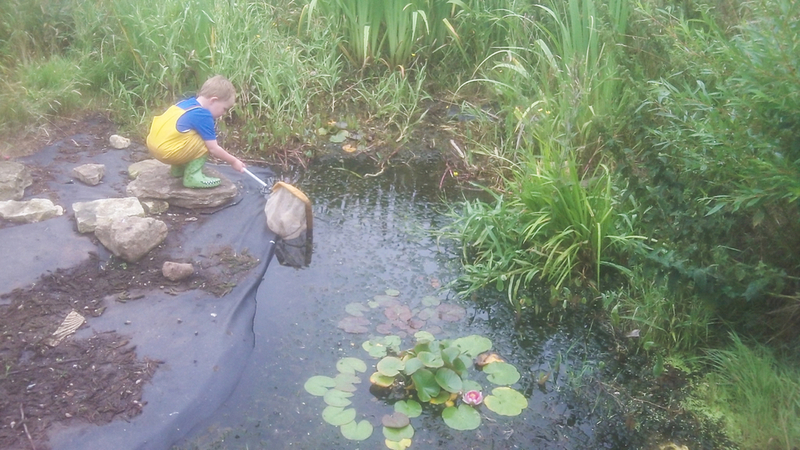 I was really impressed with the children’s knowledge of what we might find in the pond, on top of the pond or around. Some of the suggestions were fish, tadpoles and frogs! One of the children told me “Tadpoles… Once they’re in little eggs they grow into tadpoles and then they turn into frogs! Green frogs! 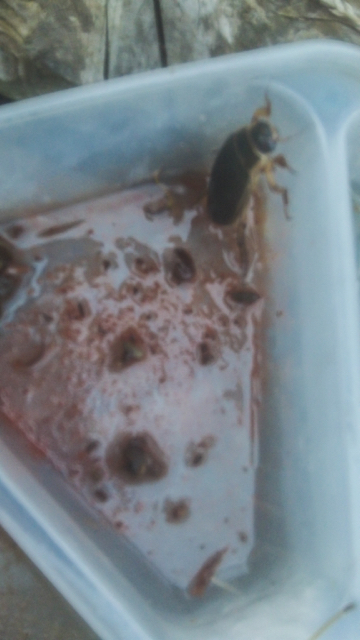 They jump and ribbit!” One child came up to me and said “Jess I found a water boatman!” The children spoke to me about their experiences of pond dipping and said that they had a pond in their garden or how their grandparents did. This activity was a great way of getting the children to talk about their experiences and what they could see or find. The older children were fantastic with sharing the nets and jam jars and taught the children that have recently joined us from the Burrow how to share. As well as a this activity being great for the children’s speech, it was also perfect for using maths, the children were counting how many legs the insects had as well as how many of each we had found. Pond snails appeared to be great to count because there were plenty of them and they also stayed still long enough for the children to count! Inside The Den this week we have had our ‘book of the week’ being ‘The Teeny Weeny Tadpole’ by Sheridan Cain. Another popular book with the children this week has been ‘Neligan’s Pond- The Pig in the Pond’ by Martin Waddell. 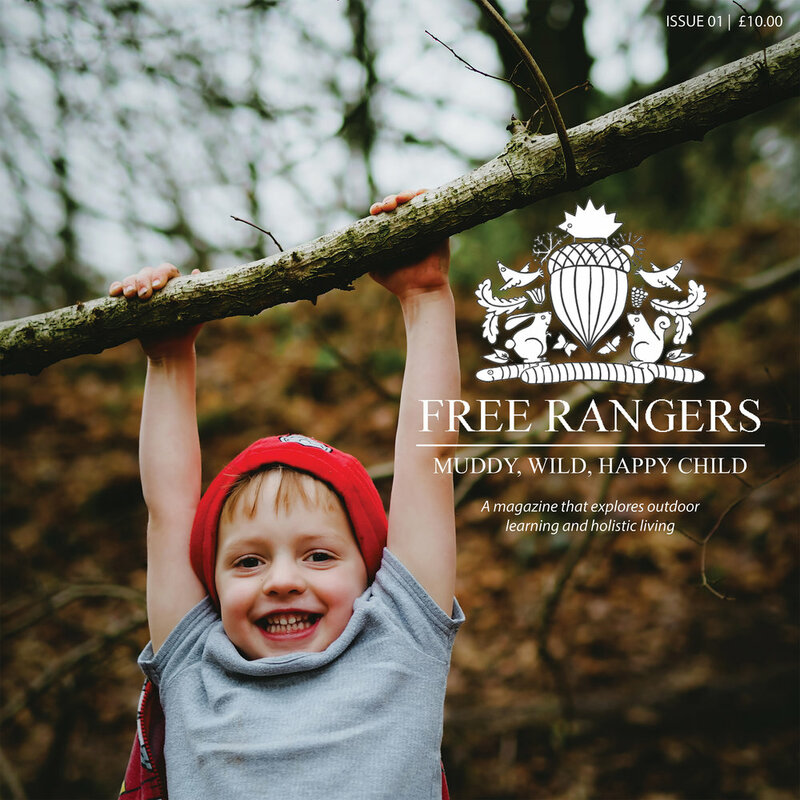 These books help to connect the links between activities inside and outside of the Den as well as creating a theme perfect for this time of year! I hope you have some time this summer to visit a pond or open water- Please be careful and let us know what you find!